Old Westbury, New York, United States. 7th June 2015. 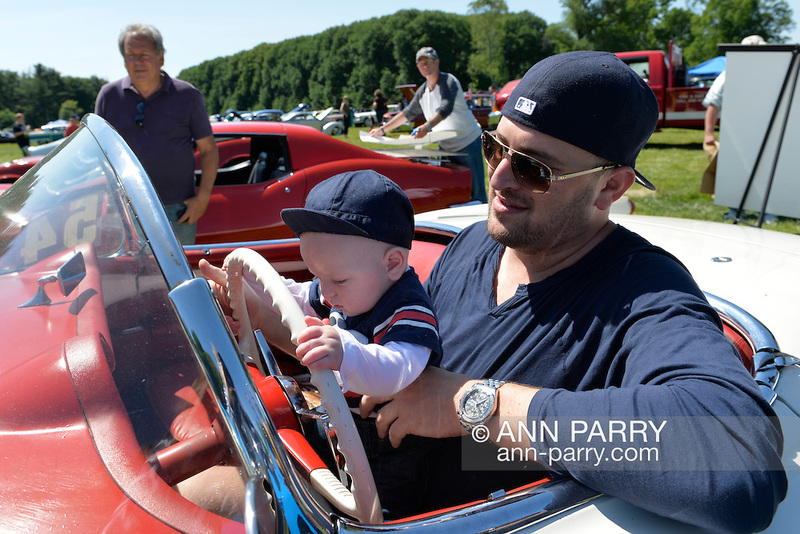 JACKSON STERN, five-months-old, holds the steering wheel of a red 1954 Chevrolet Corvette convertible as he sits in the lap of his father JOSHUA STERN, at the 50th Annual Spring Meet Car Show sponsored by Greater New York Region Antique Automobile Club of America. The Corvette, which was parked, is owned by Adam Heller of NYC. Over 1,000 antique, classic, and custom cars participated at the popular Long Island vintage car show held at historic Old Westbury Gardens.